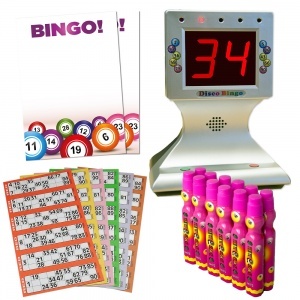 The ideal bingo package for pubs and bars! If you are looking to run a regular bingo event in your pub this great value package is ideal for you. It includes an electronic bingo machine, 1000 bingo tickets, 12 bingo dabbers and 2 x A3 advertising posters. 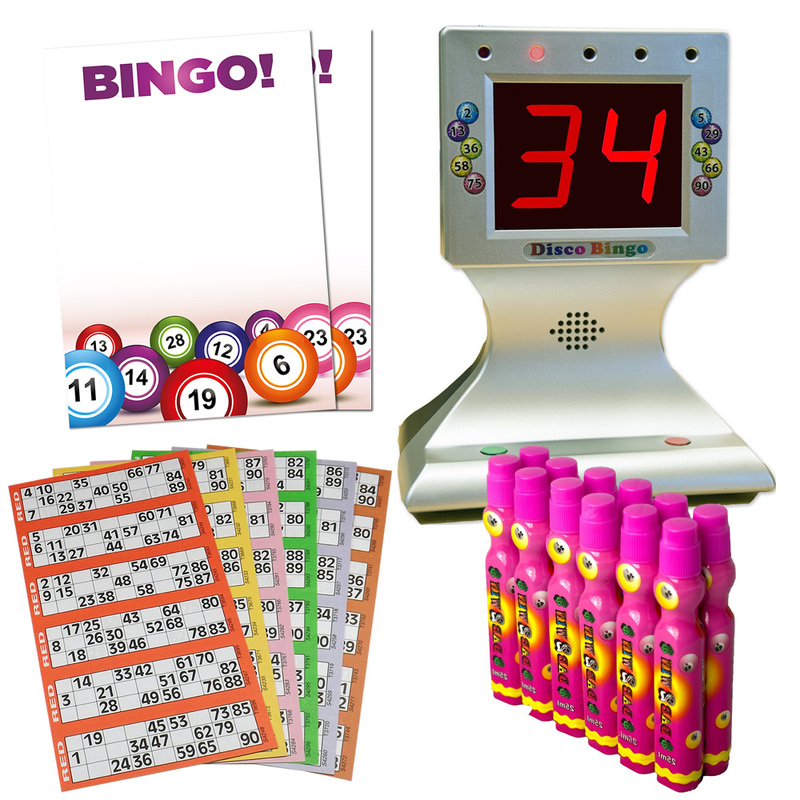 The bingo machine is light and easy to store, plays both 1-75 and 1-90 bingo games and runs of 4 x AA batteries. It has an auto power off feature, large 50mm display and boasts a simple 2 button operation. Light and easy to store.